← Is Alternate Culture Dead? You cross off another day of life on your calendar thumb-tacked to your grey office cubicle. What’s left? Forty seven days until that next sun holiday? No, those days are gone. You’re nearly there now. Forty down – years that is – and just five more days until you finally get there. Your retirement home in Tenerife. A nice little villa by the sea. It’s ok, your spine has long since adapted to that office chair and that hip won’t pain in the winter months there. What winter? You’ll be in the sun. The final soulless hours evaporate and you’re there. The sun feels nice on your skin and there’s plenty of aloe for the burn. Your head’s swimming from the heat and the cheap beers that you knock back in the midday sun. You’re comfortable. You’re safe and last night’s hangover melts away, along with your senses. A bead of sweat trickles from your receding hairline and disappears in a fold on your neck. You watch them. Those lazy Italian hippies smoking weed and playing the guitar. You used to play once. But that was a long lost dream. You tell yourself they’re lazy. It’s midday on a Tuesday. They should be working. They should earn their place. They should slave away in a windowless cubicle like you did. You convince yourself that it’s not jealousy as you neck your beer and order another. But there it is again. That nagging feeling that you’re missing something. But what are you missing? You’ve got a good life. There’s money in the bank. What more do you want? You sat behind that desk. You delayed gratification. You waited to travel. To live. And now where’s life gone? You’re bank account is full. You couldn’t spend it all if you tried. You’re too tired now to need it. You can’t fight it though. That feeling. You know what it is. It’s not something you need now. It’s too late for all that now. You’re not missing it. 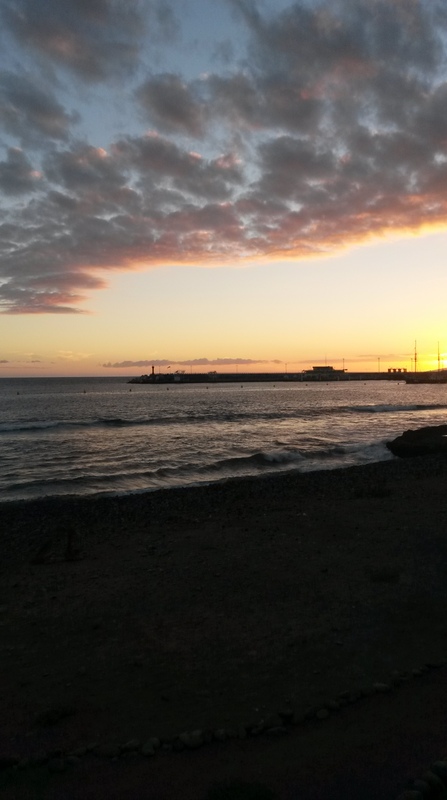 Observations on a life unlived from a sunny Tenerife café. They sway with boated bellies and wallets but empty souls, crisp and crimson in the afternoon sun. They are oblivious to their status as stark reminders of what I shall ensure I never become.